These premium double poly 6oz. 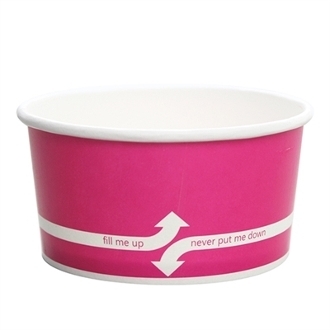 Pink Paper Frozen Yogurt Cups are perfect for frozen yogurt, ice cream, and gelato. Lids sold separately.